Mary Ann’s gentle acupuncture technique is popular with her patients. Mary Ann treats all types of pain, as well as women’s health, stomach pain and nausea, mental health, and overall mind/body wellness. When necessary, she incorporates acupressure and tui na (Chinese massage) into her treatments. Mary Ann earned a Master’s Degree in Oriental Medicine at the Oregon College of Oriental Medicine. She is a Eugene native and also has a Bachelor of Arts degree in journalism from the University of Oregon. After a stint in publishing as an editor and a writer, her interest in holistic health and ancient philosophies about wellness led her to oriental medicine. 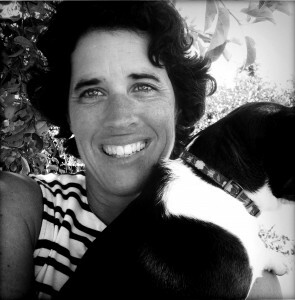 Mary Ann is passionate about improving the quality of life for her patients. When not doing acupuncture, Mary Ann likes to garden, paddle board, write, and brew Kombucha tea. How does Mary Ann describe acupuncture? Acupuncture is an effective, noninvasive, drug-free form of medical treatment that can help address a wide variety of common ailments and problems. Acupuncture promotes natural healing, with the goal of enhancing recuperative power and immunity, supporting physical and emotional health, and improving overall function and well-being. It is a safe, painless, and effective way to treat a wide variety of medical problems. You may enjoy reading more about acupuncture at Absolute Wellness Center on our Acupuncture Page. 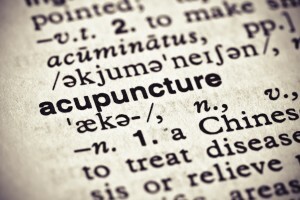 An acupuncturist will place fine, sterile needles at specific acupoints. This safe and painless insertion of the needles provides adequate nourishment to cells, organs, glands, tissues and muscles. This can eliminate pain and restore balance and harmony, as well as the body’s ability to heal itself—ultimately leading to optimal health and well-being. Everyone is unique in how acupuncture feels to them. Some say acupuncture is “painless,” while others can find it to be momentarily uncomfortable. It is not uncommon for patients to become deeply relaxed or even fall asleep. If you are not comfortable with acupuncture, you can choose other non-needle methods that are also effective. Treatment typically takes 45 minutes to an hour. You may enjoy reading Mary Ann’s post: How Does Acupuncture Feel? Just ask! Mary Ann is available to answer any questions you may have. Call 541-484-5777. Mary Ann has had numerous national and local publications of her articles, including in Alternative Medicine online magazine, Take Root magazine, and the Register Guard. What is dry needling and how is it different from acupuncture? 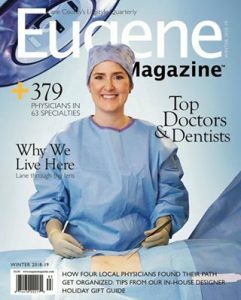 Mary Ann Petersen, LAc has been listed in Eugene Magazine as one of the best acupuncturists in Eugene from 2013 – 2019!